Every year in the construction industry around 3% of workers suffer from an illness they believe to be work-related, with 64% of these workers reporting musculoskeletal disorders and 20% citing stress-related conditions. 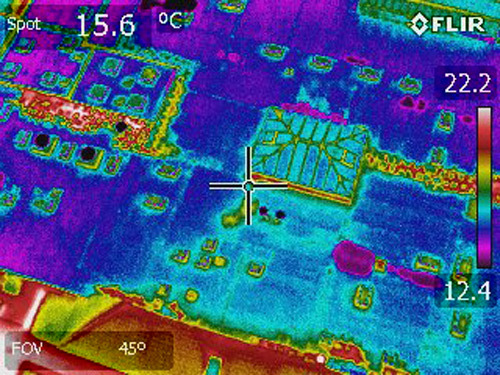 In a sector that demands so much of its workers, especially with the increasing pressure on roofing contractors to improve efficiency and reduce costs, embracing new technology is surely the only way forward. That way we can work faster while also improving the health and safety of hardworking operatives – a no-brainer if the sector is going to continue to grow. 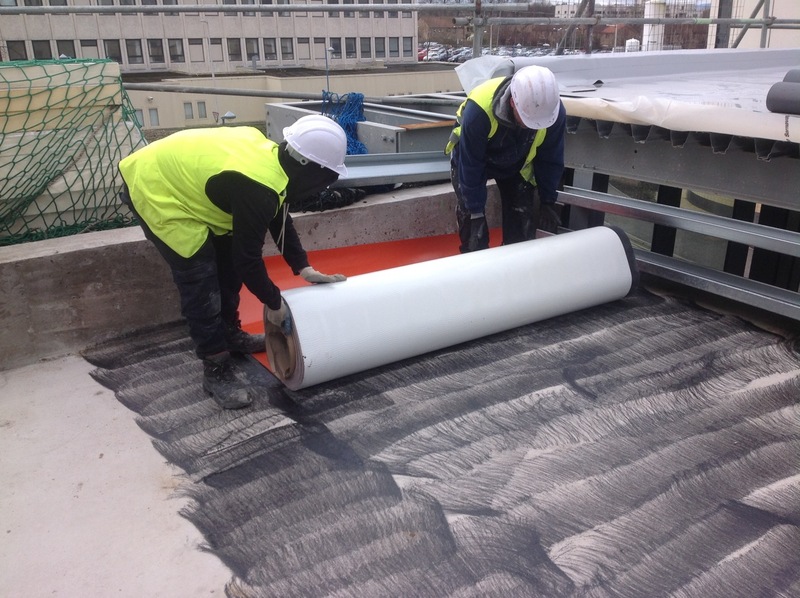 As part of this, at Sika Sarnafil we feel responsible to support contractors in their work by developing products that advance installation techniques. This in turn increases speed of installation – alleviating stress – and improves working conditions, which is likely to have a positive impact on operatives’ health. In a world of cutting-edge roofing systems, sometimes the tools used to apply them are somewhat behind in comparison. When products evolve, so must the tools we use. Using rollers and broom handles to apply primer is one example of this, which is why we’ve launched our new Spray Applied Primer 610. It was the obvious next step following the introduction of our Self Adhered Membranes G410-EL FSA and G476-SA, and to compliment the well-established Sarnavap 5000E SA VCL Primer 610 has been specifically developed to provide the necessary preparation and ensure the adhesion of these products. The Sarnafil Self Adhered products and Primer 610 ensure the fastest and easiest professional application possible. Vigorously tested pre-launch by Sika and also subject to third party testing, Primer 610 is included in the new Sarnafil BBA certification. Trials show that using a spray significantly improves the speed of application by up to 50% and the product dries incredibly quickly – in a matter of a few minutes. As roofing contractors are under increasing pressure to complete jobs in smaller windows of time with less notice, this advancement is essential in getting the work done as quickly and efficiently as possible. The longer a team is on site, the more money has to be spent on costly scaffolding and safety measures. Plus, disturbance or closure to buildings below can also cause negative commercial impact – not an option in today’s hectic world. In addition, with spray applied primer there is virtually no waste as the contents are forced out of the canister. Also it’s easier to estimate how much product is needed for a job – vital when keeping costs down. Primer 610 comes in a 19.66kg pressurised canister that will cover approximately 180m² to 200m² and the price per metre costs on average as much as the traditional primer. However, add to this the saving in the time it takes to use and I’d say it’s obvious to see that spray applied primer is the cheaper option. As well as waste being greatly reduced, the special rubber hose means that the product requires virtually no flushing out. The canister, although pressurised, can easily be decommissioned once empty by using a special punch to knock in the valve. This quick and easy application method has been tried and tested by many of the roofing contractors we work with and is already a big hit. With the more ergonomic spray nozzle, operatives don’t have to bend down when applying the primer, easing pressure on their backs and making their job less physically demanding. 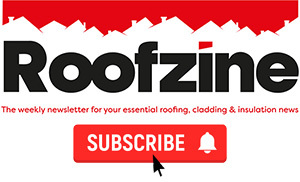 Hopefully this is a step in the right direction when it comes to reducing work-related illnesses in the roofing industry which cause an astounding 1.2million working days to be lost each year. There is an initial investment required for the tooling – but in the long term contractors will save money versus continuously buying rollers – frames and broom handles again and again. As part of our commitment to contractors we are promoting onsite guidance and advice from our Application Department on how to use the primer as effectively and economically as possible. It’s our responsibility to listen to and support contractors in an ever-evolving industry. Benefits to the contractor through innovative products translate to benefits for the entire industry, from specifier to client. Harnessing the latest technology and scientific advancements will be the only way we can grow sustainably in a sector pushing ever harder for cost reduction, while improving health and safety.